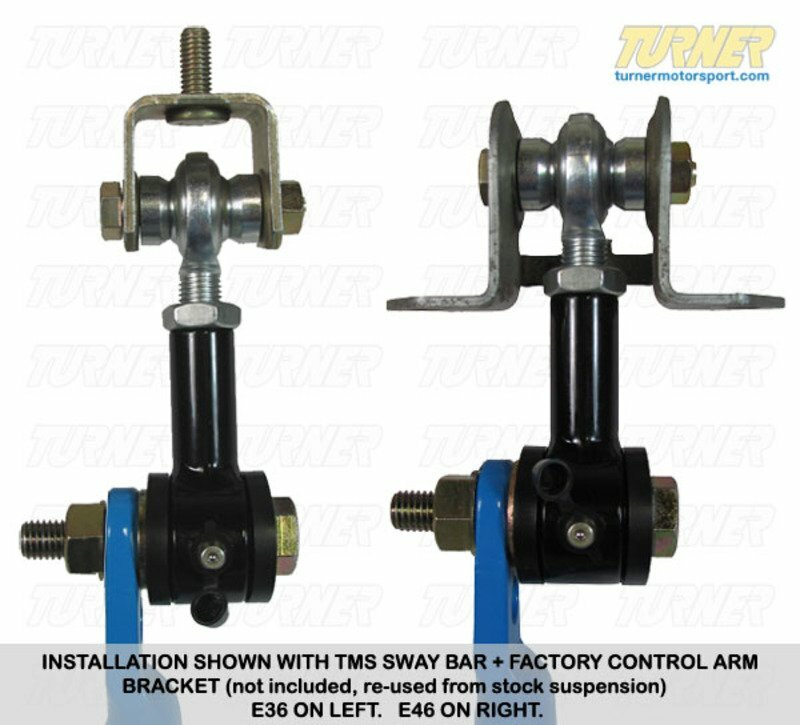 These adjustable rear links are only required when using sway bar / swaybars with a suspension with a very low ride height, where it may be necessary to adjust the length of the end links for proper sway bar clearance from the drive axles or other suspension components. These suspensions are usually found only on race cars but this may also apply to street cars with sport springs/sport coil overs that are lowered a lot. 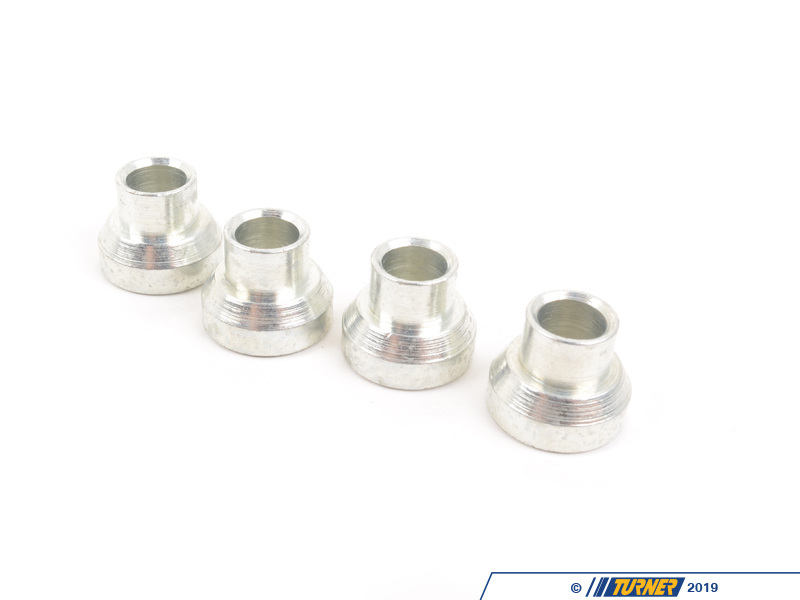 On most street cars lowered 1.5" or less, the stock links will be fine. 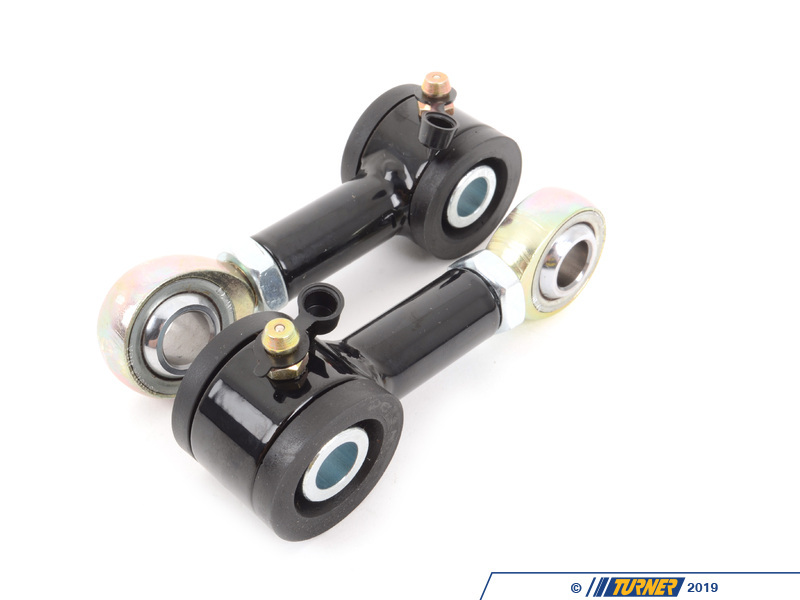 These end links feature a Heim joint, which allows enough lateral movement when disconnected to adjust the length of the link without removing the entire link from the car. 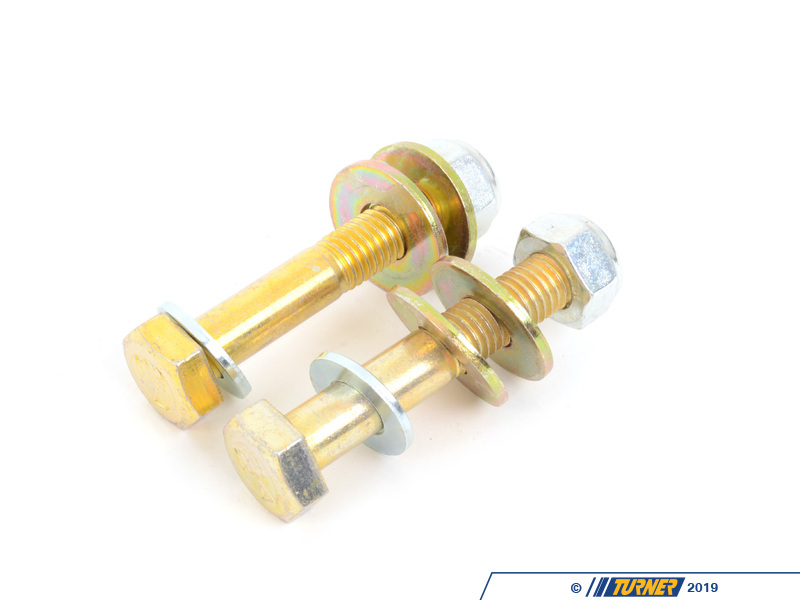 This is particularly helpful when eliminating or adjusting preload while tuning the suspension. Similar links without this joint, can't be adjusted without totally removing the link from the car. Built-in grease fittings allow for occasional lube, and a packet of grease is included. 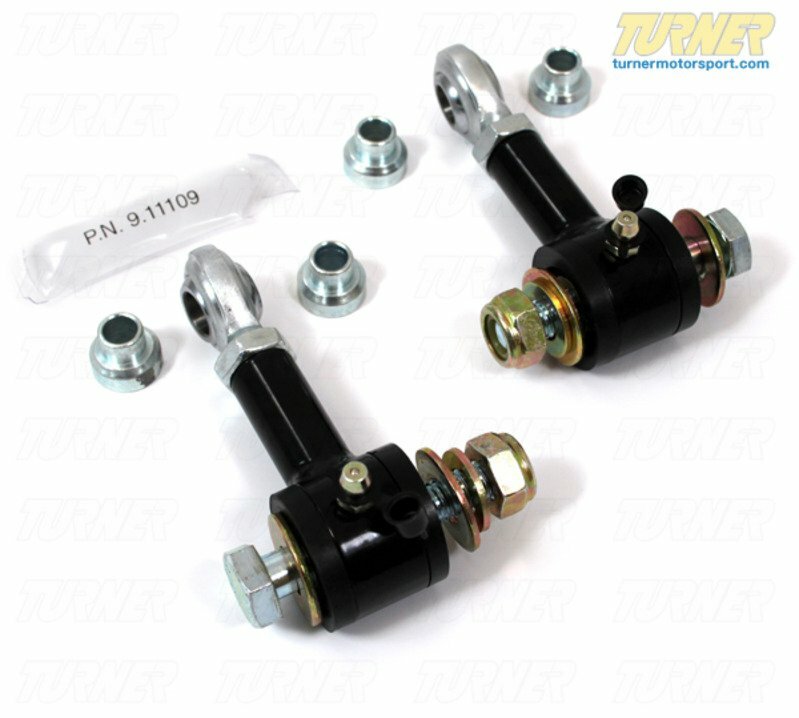 These links are sold as a set, and include two end links and hardware for H&R and TMS sway bars (other brands may not need the hardware). At their shortest setting they are 2.875" hole to hole and on their longest setting they are 3.5" hole to hole. 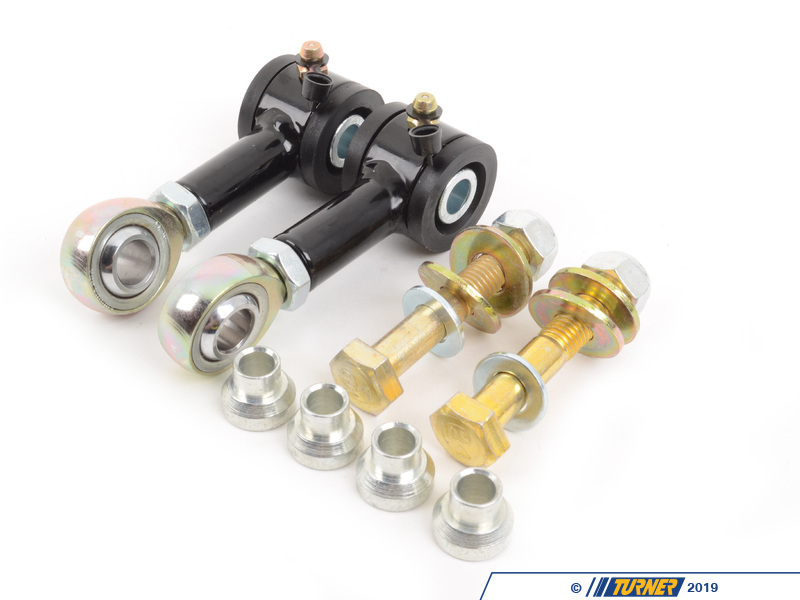 *Note: these links will not work with factory or non-adjustable Eibach sway bars.